Send parcels to Northern Ireland with NI Parcels. 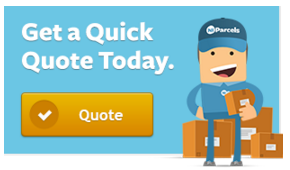 Fast, reliable and cheap parcel delivery. With NI Parcels you can send a parcel quickly and easily within Northern Ireland – and at a great low cost. We deliver to all Northern Irish addresses, no matter how central or rural your location is. Whether you need a courier from Belfast City Centre or South Armagh, you can avail of our convenient door to door parcel delivery service, or if you need to send a pallet to Northern Ireland you can use Pallet Anywhere. We offer fast same day collection and next day delivery on parcels sent within Northern Ireland and on certain routes, we can also offer same day collection AND delivery. Get a quote to see if our same day service is available to your Northern Irish address. Mainland UK to Northern Ireland is one of our most popular routes for parcel deliveries. NI Parcels is a convenient pay-as-you-go service, which means anyone can take advantage of our affordable and efficient service. Many individuals and small businesses in England, Scotland and Wales send parcels to Northern Ireland with NI Parcels, as we offer some of the fastest delivery times and lowest prices. We provide same day collection and next day delivery when you send a parcel from the UK mainland to Northern Ireland – which is great news for individuals and small businesses who need items sent urgently. NI Parcels operates to 200+ countries worldwide, so if you need to send an item to Northern Ireland from overseas, you can do so easily with us. We offer extremely competitive international delivery rates and fast overseas delivery times of just 2-5 days depending on location. To see the available routes, view prices and delivery times, simply get a quote. When you book a courier to Northern Ireland with NI Parcels, you’ll receive £50 free compensation cover on your shipment as standard. 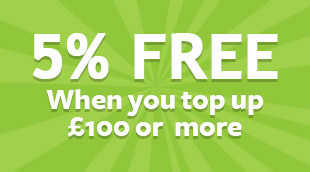 If necessary, you can increase this amount right up to the value of £1,000 for a small additional fee during booking. Before booking your courier, we recommend reading through our list of prohibited and non-compensation items to ensure your parcel contents are proctected. One of the main reasons to choose NI Parcels for your delivery to Northern Ireland is that our prices are low. We have secured great discounted rates from our network of top couriers. including Parcelforce, DPD, City Air Express and Captain Courier. This means you get the same great service that these couriers are known for, at a discounted price! All items sent with NI Parcels are priced individually based on their specific size and weight, which means you’ll always receive the very best value for your money. Booking with NI Parcels is easy. You can book your courier service online with us 24/7. First, get a quote from our homepage. We’ll compare the best prices and fastest delivery times from our network of leading courier companies. All you have to do is select the option which suits you, enter your address details and pay online. After that, we’ll take care of the rest! Get a quote today to see how much you could save on your courier to Northern Ireland!